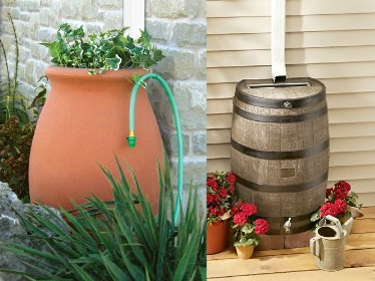 Collecting rainwater is a great way to be eco friendly and to reduce your water consumption, but many people turn up their noses at the thought of having a big ugly plastic barrel on their porch.. Well donâ€™t worry; now you can save water without sacrificing style with these 5 beautiful rain barrel designs! 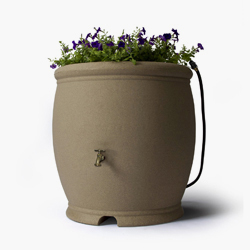 The Smartware â€˜Smoke Grainâ€™ Rain Barrel is suitable for both a traditional and a rustic aesthetic, while simultaneously being very green. 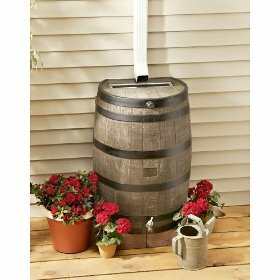 Unlike the wood barrels that this barrel is designed after, the Smartware rain barrel wonâ€™t rot or mildew because itâ€™s constructed of 98% recycled plastic. 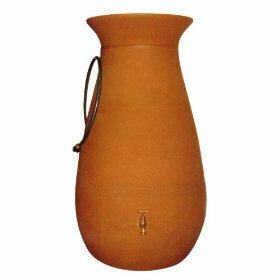 The 48 Gallon barrel has carbon steel bands that rust with age, for a weathered/antique appearance. 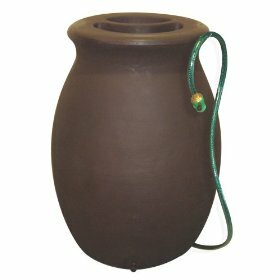 A screen keeps insects and debris out, and a brass spigot allows for connection to a garden hose. 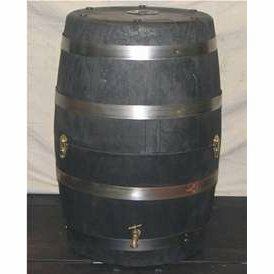 The barrel is 33 inches tall and 24 inches diameter. 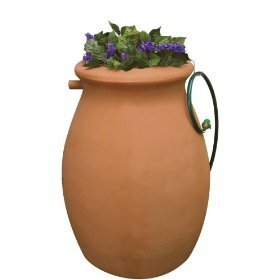 Available from Amazon.com, $161.99.